I really like this post because it’s real. I really relate to this blog as a whole! I never thought I would really read blogs, but this one is special to me. =) Thank you. Thank you for this delightfully honest few of parenting. It’s easy to forget behind the blogs the mums are as real as the rest of us and your honest view helps to take the self imposed pressure to be perfect mother away from us all. I love what you provide us all with and find your contributions to my family have helped me be more like the mother I want to be. Love this honesty. THANK YOU! Thank you so much for sharing this!! It takes a lot of courage to share our private lives. I feel better now that I am not the only one struggling and by you sharing your life just shows that it is the reality for most of us. Now whenever I feel bad that I haven’t had a chance to get any activities done I will remember your post. And that reader was right by mentioning that you are the “Oprah of Motherhood” because you are real and you have had the courage to show us that part of your life. What a humble and realistic confession. Thanks. We still think you are wonderful! I really really liked reading this post! Lots of times when I read blogs about homeschooling I feel like, wow, I have to learn so much! It seems that everyone is so creative, they have so imagination, and they have so much energy to be with 1, 3, 5! kids at home. And of course they, you, do have this energy and creativity but I can see after reading this post that you too struggle, you are real, that parenting is not perfect, not always it’s possible to be 100%, it’s not realistic to be doing activities all day long. Thank you! I have a question then. Do you have anything written about what to do with kids that ask for your presence all the time? My son is 2 years and 9 months and he needs me to be with him all the time. We do an activity, we play, it seems he enjoys, but he wants me there. Do you have any tips for this? Thanks in advance. After reading this, you are now one of my favorite people in the world!!! Thank you so much for posting this! I am a stay at home mommy of 3 little girls, which I home school. Needless to say my days get very busy. To make the days even more crazy my youngest thinks that she is a monkey and wants to be draped around me, or be with me everywhere I go. I do not have any friends or any adult conversation, except once every 2 months (if I’m lucky) when I visit my lovely hairdresser. At night when my husband gets home from work, I am tired, no.. EXHAUSTED. Then it’s dinner & bed. And then I lie awake and the mommy guilt starts to set in… and the not so good wife guilt…and the “you owe yourself some time too” guilt. And tomorrow I try harder. Thanks for all the activity ideas, I’ll surely be using them on my “not so creative mood” days! ” I realized that I need everyone to know that not-so-perfect me too. I’m just you. No different. I struggle with parenting. I struggle with doing activities with my kids, too. I struggle with it all. And I get frustrated too. I have the moments. I’m assuming it happens to all moms. But I, too, have the same doubts that I’m the only one that does parenting ‘like this’. I often think I’m the worst mom in the world.” – This made me tear up. I feel this way all the time. I stumbled across your website just yesterday and signed up for emails. I’ll repeat these other moms with thank you for this. I really need to remember that NONE of us can be perfect, AND that we are all trying as hard as we can. None of us are failures, ladies. We spend every waking moment at the beck and call of at least one other human being. That in and of itself makes every one of us Wonder women. This fact is so hard to remember when you spend most of your time lost in thought in your own head without a whole lot of grown up conversation. Get out of your head ladies! You are amazing! Yes, some days we remember and have the energy to do a whole bunch of activities. Other days will be nothing but watching that favorite movie again to get some silence while drinking your coffee….that’s okay. You are still human. This is me telling myself this too!! Again, Jamie thank you for being honest and real. And for showing us what goes on in the real world and that we are all perfectly normal. :) And the reason that lady told you you were Oprah of motherhood is because you do all the normal mom stuff on top of helping other moms. Oprah isn’t perfect either. But she helps where she can. Just as you are doing. Keep up the good work! Thanks for this honesty! Reading this is inspiring to me. Being a stay at home mom is challenging to me. I had no kids to twins. As I have been a stay home mom for two years now it is inspiring to read that I’m not the only mother who has fallen short by putting my children in front of a T.V. 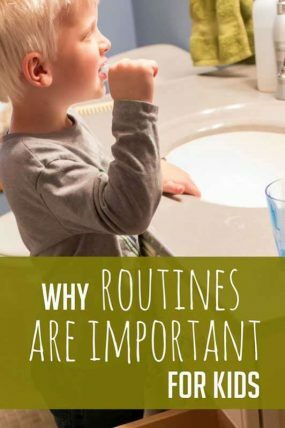 and it is also inspiring to know that they kids may not respond to activity because I have come across that as well and well my house it looks like a mess half the time but I still plug at it to clean it. Thank you for sharing this awesome site!! it has been really helpful for me. I need as much encouragement through this journey with my boys! I’ll echo the other comments, and thank you for your honesty. I’m a stay at home mom too, and I always feel like I’m dropping the ball. Your photos and insights made me smile, and now I’m an even bigger fan of yours. Thank you again. Thank you, thank you, thank you so much for this honesty! So often I’ve felt like a failure of a mom because I feel like I’m not engaging my son enough in different activities and I feel like I’m just not doing enough. Especially now, being 10 weeks pregnant, I’m so tired and my hormones are flying and I really, really, really needed to read this right now. Thank you! Thank you for being real. I am a stay at home mom who crafts to stay sane and who blogs to unload parts of my brain and share things I love. But it is hard to not compare to others as well as deal with self doubts. Your website is darling! And i am excited to try some new activities with my two. ☺ Again thank you! Thank you so much for this post. It was in a way reassuring. To me, now you are inspirational because you are real. Thank you so much for your honesty! I have tried to do a “crafty” activity everyday and felt like a failure when I don’t. I also was trying to blog about all things family from birth to death essentially and had to give it up because of the pressure I was putting on myself to produce more often than I really had time for. Thank you for being a great example! Thank you for being so honest. I feel like a crappy mom most of the time, with full-time work and all (and lately, I’ve been rendering long hours on weekdays and even have to go back on weekends). I barely have the time and energy to do anything fun with my daughter which is why we always look forward to once-a-month out-of-town excursions as a family. I follow your blog and I really love seeing the things you come up with. I only have on 2.5 year old, but I don’t typically start her on an activity. I leave them laying around and kind of let her discover them. My job to provide the materials, her job to do something with them. After all, all of this is for their benefit or enjoyment. You mentioned not being able to come up with something for your son. Maybe those are the times when they can take over. Where you can sit and say, ” I know you can come up with something really neat”. For me, it really takes the pressure off. Because part of their job as kids is to explore and discover and create their own things too. I love seeing parents get involved and want to participate with their kids, and I love doing it myself too. But there is absolutely nothing wrong with not feeling it sometimes and having them take over. I think it’s really really great you shared this. Thank you so much for this. I actually teared up reading it because more than anything in the world I want to be a good mom, but I have to constantly remind myself that perfect isn’t an option. Your willingness to be real to your readers makes you an even better blogger, and I already thought you were awesome! Thanks so much for your honestly! I loved this so much. I often do think y’all must be doing tons of activities all the time and I get frustrated that my 18 month old “ruins” them or after the prep turns out they would rather play with their books or something. And I have been debating a day of daycare but just thought somehow I shouldn’t. Just loved this post! Thank you Rachel. Its a fine line we walk as bloggers. Just wanted to Thank You for this post. I am a SAHM of 2 girls with my youngest (9 months) being fairly high maintenance and exhausting me daily. I just want to zone out most of the time even though I can’t. As a result, I don’t do as many activities with them that I would like. But this post, and posts like these by moms, are refreshing and inspiring. So, I thank you for your candidness. It is much appreciated. Thank you so much for this post! I have 2 boys. The eldest has been very high needs from birth and as such I haven’t managed to do many activities with him because it’s such a frustrating process. He’s now nearly 4 and been in full time daycare/ preschool since he was 1. I recently made the decision to become a stay at home mum and had been excited about spending some quality time with him but we have been really struggling with a lot of behavior issues. Your website is exactly what I need but I was getting very sad reading through it and I realized how much we have missed out on together. 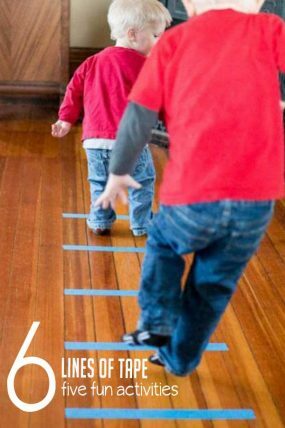 That is, until I read this post, and it stopped me from feeling envious and putting myself down and instead made me resolve anew to connect with my kids through some really fun sensory and creative play. Thank you for this and your fabulous website!! I really don’t want you to feel sad in any way – we all have our ups and downs and never seem to talk about the downs — which leads us all to view everyone else from the picture perfect window — and I have yet to actually meet anyone that lives that way. Have fun enjoying your kids!! Thank you, thank you, thank you for this post. So many times I just feel guilty for not doing enough with my kid after reading some blogs even that Deep deep down I do know life doesn’t really look like that. But still actually reading that someone else’s life is as hectic an unperfect as mine makes it all so much easier. I do get this urge to post new ideas every day. Same thing with my blog I have about food for kids. I feel like constantly I have to post something new and interesting when in fact we could have same thing for dinner three days in a row. Thank you for your honesty! You could have depicted the picture of a Martha Stewart mother, instead you corrected the compliment and in doing so warmed the hearts of all the mothers who read this blog. It is sooo refreshing to hear because many times you come across these successful mom blogs and they don’t admit that they need to send their kid to daycare to get things done- I know I do! Or that when you are trying to get work done while they are at home, your only option sometimes is TV or the iPad or whatever else will keep them quiet for longer than 10 minutes, so that you can accomplish something and not always in the late hours when you are EXHAUSTED! Anyways, thank you so much again. Your activity ideas are awesome too. What a lovely & refreshing post. I try to do fun & interesting things with the kids, but there are also times when I need to do something less engaging (a household chore, something for work) & they watch a TV show or do something equally mundane. Nice to hear reinforcements that this struggle (balancing educational, exciting & fun activities with everyday other stuff) is universal. Much appreciated! Thank you for this blog and for being so honest about your perceived shortcomings. You’ll never know how many stay at home moms needed this blog. FYI, no I’ve never met her, but because she is human, Oprah probably has her side messes as well. No one is a superhero in all if this. Thanks so much for your inspirational activities. Great article, Jamie! I’ve seen a few bloggers coming out with articles like this and it is so refreshing for moms to read. It reminds me of the saying “There’s a million ways to be a good mom” (and I don’t know that any of them include having a perfectly clean house while doing activities all day :). You’re a great mom! Thanks for sharing your creative ideas with us! Great post! I appreciate that you can share that side of you! I love your blog and your ideas. I hope you, and other mom bloggers, don’t take this the wrong way – but if you are as real as the rest of us, and these things don’t come super easy to you too- why not show that in your blog and make it real? Show the messes- the hits, the misses. Why does every picture have to be perfect? I’m not a stay-at-home mom so I do the best I can in the evenings and on weekends with my daughter. We have lots of misses right now and a few hits on various activities and I laugh about it mostly. But i did go through a time where I did feel like a horrible mom because of all these “perfect” blogs with these “perfect” moms and their “perfect” activities and their “perfect” kids. I LOVE the ideas you share- and I think motherhood and childhood is perfectly messy and chaotic and I wish that side of it all was reflected more than the “perfect” Oprah-like and Martha Stewart-like facades. Again- I hope it’s not taken the wrong way- I ABSOLUTELY LOVE your blog and ideas…. just my own thoughts. Thank you again for sharing your behind the scenes! I so resonate with this post, Jamie. And I always feel better when you say that you’re trying to do 2-3 activities a week (versus daily) because that is definitely where we’re at here. And I so understand getting that little guy out of the way or just letting him get into something so the older two can do an activity. As for doing a bunch of activities in a row… yeah, I do that too. Sometimes I think I should have the boys push up their sleeves so people don’t see the same clothes in the next post, lol! I think our boys are similar ages (2y4m, 3y11m, 5y8m) so it’s fun to see what you’re doing at your house. 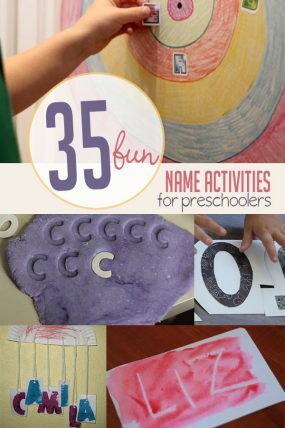 I am always amazed by your creative play ideas and your amazingly written sponsored posts. I love learning from you, and KBN is the best thing that’s happened to me, blogging-wise. Love and respect you all the more!! Thank you for inspiring as well as supporting the “reality” of being a mom! I love you now more than ever! Great post. I’ve been following your blog and recommending it to all the moms I know because it’s a great resource so that we don’t have to reinvent the wheel every day. I love this honest post and it blessed me as a mom trying to balance mothering and blogging. My 2 yo goes to childcare twice a week too! Wish you lived next door to me. Ryan & Louis would be quite a pair. I have similar photos from when we are doing blogging projects. You are rocking motherhood & blogging despite what you may think. I hope you had a Happy Mother’s Day! such a lovely post, Jamie. It’s so close to my heart. Thank you for being such a kind person and making all moms feel a little better about themselves since it’s so easy to believe that we bloggers get it all together all the time. Jamie, thank you for this. The most honest blog post I have read in a LONG time! Way to be courageous and keep it real! Oh, this was perfectly written and so true of our house and family and blog, too!!! Thank you! I think your Louis and my 15-month old daughter should get together…they seem to have a lot in common! Seriously, I think the picture of him climbing inside the entertainment cabinet is my all-time favorite! Thanks for sharing the details behind the scenes! I really enjoyed reading your post Jamie. So much of what you said resonates with me! The bit about doing a bunch of activities all at once and then taking a few days off – done that many times! Thank you for writing this. It’s so refreshing. As much as my husband tells me to stop comparing myself to other people, I still get caught up in all that. I’ve tried so many sensory activities & my son wants nothing to do with them. 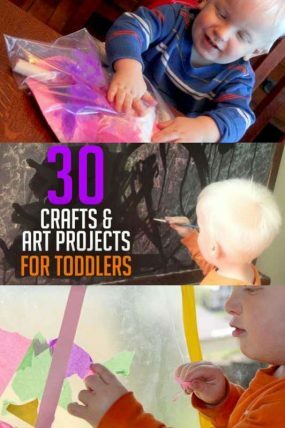 Then I see all these kids in these Pinterest posts looking all happy & interested in the activity & I wonder why my son won’t do the same. Thanks for sharing that it doesn’t always work out. It’s just easy to get caught up in comparing, even when we don’t mean to. Thank you so much for this post. It does feel like I’m the only mother who is hanging on by threads sometimes. When it is all you have time to do to get the kids fed, dressed, and safe – while I bought a while wardrobe that could double as pjs so it wouldn’t be obvious if I didn’t get dressed! But my kids are cleaned and dressed almost every day. Your activities are inspiring and I have used them as inspiration with my own kids many times (no blog – I already spend too much time online!) Thank you for taking the time to share your life. It’s sooooooooooo nice to hear that!!!! I feel lazy when I can’t muster up the energy for an activity after I just did a pile of dishes, fed them lunch, ate lunch, did a load of laundry, changed a diaper, gotten drinks and by now a snack, settled an argument, took out the trash, answered an email, called the doctor, sat for a minute to breathe…and the list goes on!!!!! :). We are not perfect and they are still going to turn out okay, even if Oprah isn’t their Mom. We are good enough, great actually…and it’s nice to hear another Mom admit they’re day isn’t all neat & tidy and full of learning and creative Pinterest-worthy activities!!! Thank you!! Thank you so much for writing this! I try to do creative fun activities and have had some misses e.g daughter refuse to touch the goop – who knew she hates slimy textures? This post is just what I needed to hear.